Green Party co-leader Metiria Turei's comments that the Government's release of a Green Paper on Vulnerable Children is a distraction from the urgent and pressing issues facing New Zealanders could not be more correct. The Green Paper is a discussion document, which is better described as a public relations pre-election exercise. The paper begins with opening letters from John Key and Paula Bennett. Key expounds that we should have solved all our problems with vulnerable children if "throwing money around was the solution", echoing talkback rhetoric. "Russian Roulette" with the NZ economy. This will have an effect on stresses affecting families. A bad economy together with the gutting of social services does not make happy families. The Green Paper is little more than Shipley's heavily critiqued Code of Social and Family Responsibility proposal: public relations spin. 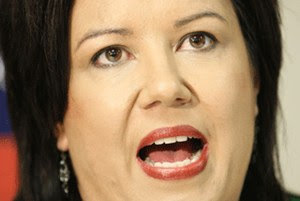 It pushes the emotive issue of vulnerable children, further playing into the usual suspects of stereotypes that Bennett and National have been quick to stir in attempting to attract votes (which so far include solo mothers, sickness beneficiaries and the idea that funding towards social services won't reduce the burdens on families or children). It raises recommendations that Labour has made, without actually doing anything about these. Key's foreword that it is not money that solves our problems should signal that National is going to be slow on the uptake for presenting options that do. This is an election stunt, designed to show that National are doing things. Expect more releases of discussion papers in coming months - all talk but no action.